CHAMPAIGN, IL – May 4, 2017 – From agricultural output and payrolls of major employers to new home construction and retail sales, Ed Scharlau, Vice Chairman of Busey Bank, outlined the local economy during the 65th Champaign County Economic Seminar at the I Hotel & Conference Center in Champaign. Robert Jones, Chancellor of the University of Illinois at Urbana-Champaign, and Van Dukeman, President & Chief Executive Officer of First Busey Corporation, presented their views. This year’s theme was Shaping the Future—reflecting on the life-changing innovation from the University of Illinois as we celebrate its sesquicentennial. The University of Illinois is the number one employer in Champaign County, but its payroll could stall, warns Scharlau, if lawmakers don’t resolve the state budget issues. Payroll on the Urbana-Champaign campus is expected to decrease by $14 million in 2017 to $986 million. More students are choosing to study at the U of I. Enrollment on the Urbana-Champaign campus is expected to increase from 44,800 last fall—making Illinois the seventh largest public campus in the country. “As we celebrate the University’s sesquicentennial, we also congratulate Parkland College in Champaign on its 50th anniversary in 2016,” says Scharlau. Throughout its half-century of service to our community, more than 300,000 individuals have enrolled in courses at the college. Parkland College is the third largest community college in Illinois. Healthcare employs more than 8,000 people and is the second largest employer in Champaign County along with Presence Covenant Medical Center, Christie Clinic, Carle Hospital and Carle Physicians Group. “A major game changer in our community is the Carle Illinois College of Medicine,” says Scharlau. “It’s the first medical school in the nation focused on the intersection of engineering and medicine.” Class gets underway August 2018. Looking at the housing market, “Home sales are up 11% from 2015—the best in a decade,” says Scharlau. According to the Champaign County Association of REALTORS® , 438 homes were sold in the first quarter of 2017 compared to 416 homes the same time last year. Scharlau says new home construction is holding steady, citing data from Illinois American Water. If the projection is right, 275 new homes will be built in 2017 in Champaign, Urbana and Savoy. Champaign County’s agricultural output totaled $382 million in 2016—exceeding expectations of Busey Ag Services. “Our ag team credits higher yields in both soybeans and corn,” says Scharlau, “with the average yield for corn at 210 bushels per acre in 2016.” The yield is expected to decrease slightly to 183 bushels per acre this year, but it is still higher than the trend line—according to experts. Busey Ag Services anticipates $337 million in agricultural output in 2017. Meanwhile, values for the most productive farmland—“Class A,” as defined by soil productivity research at the University of Illinois—is now at $10,500 to $11,500 an acre. 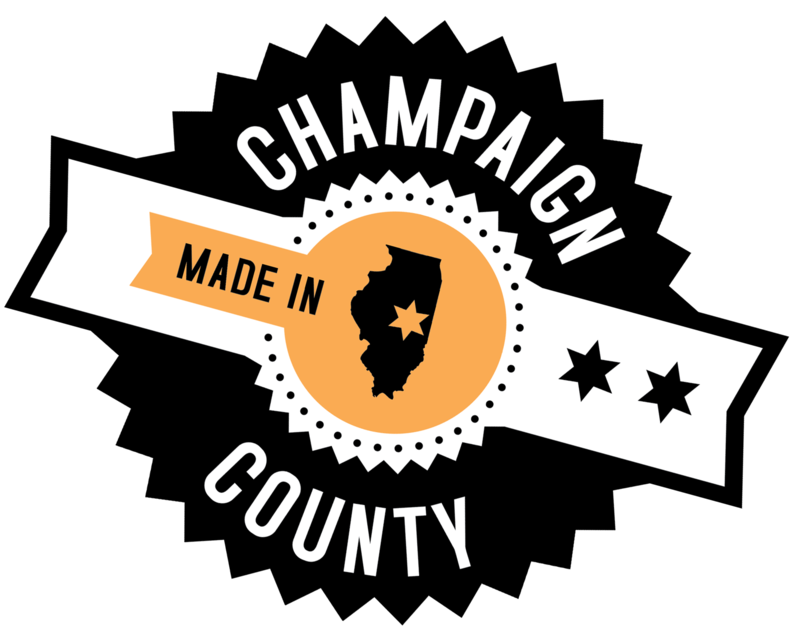 Moving to population, Champaign County has grown by 7,338 people from 2010 to 2016 with a population of 208,419. To provide a size comparison, the populations of surrounding counties include: Sangamon County at 198,997, Mclean County at 174,061, Macon County at 108,350 and Vermilion County at 79,728. Looking at unemployment, Champaign County is at 4.4% for March 2017 compared to 4.7% for Illinois. “Although our community has one of the lowest unemployment rates in the state, we need to remember people are unemployed and looking for jobs,” says Scharlau. For comparison, unemployment in surrounding counties for the same time period include: Vermillion County at 6.4%, Peoria County at 6.3%, Macon County at 5.7%, Sangamon County at 4.5% and McLean County at 4.3%. The Dow Jones Industrial Average will be 23,517. The rate of inflation will be at 2.5 percent. Retail Sales in Champaign County will increase by 2.8% this year. The number of new single-family homes in Champaign, Urbana and Savoy will be 279. To watch the Economic Seminar in its entirety, tune in to Urbana Public Television in May. For the broadcast schedule, visit urbanapublictelevision.yolasite.com. The program will also be available on Busey’s YouTube Channel. Busey is honored to be an advocate for education—proudly presenting the annual Champaign County Economic Seminar, Economic Outlook for McLean County, Economic Outlook for the Peoria Area and Economic & Financial Market Outlook in Southwest Florida. To discover Busey’s impact in the communities we serve, read the Community Engagement Report—a proud partner for purpose and progress.